If you're in search of the right molding to make a room look polished and complete, head over to The Home Depot, where you can pick up prebundled molding Pro Paks that offer convenience and cost savings of up to 40 percent. In any remodel, the average homeowner tends to focus mainly on the end result, seldom understanding that overall success usually hinges on the handling of seemingly minor, insignificant details. Contractors know the fact of the matter: It’s the planning stage of a project that, to a large extent, determines the strengths and weaknesses of the outcome. For that reason, experienced pros encourage client participation early and often. Plenty of homeowners embrace the decision-making process with gusto, knowing more or less precisely what they would like to achieve. But even in the clearest vision for a given job, there are bound to be blind spots. Take wall moldings, for example. While contractors appreciate their importance to the well-groomed appearance of a finished space, nonprofessionals rarely think of such things until the last minute, if they do so at all. Plus, even when directly addressing the question of moldings, the average homeowner may be at a loss as to which of the many options to choose. After all, there’s a great deal to consider, from the style of the home to the size of the room to the number and nature of moldings already present. Fortunately, there are a host of guidelines and rules of thumb to help simplify what might otherwise become a complicated, overwhelming choice. Moldings come in a dizzying variety, from the ornate and detailed to the simple and clean-lined. Best practice is to take a cue from the prevailing architectural style; moldings look most natural when their profiles harmonize with the overall aesthetic tenor of the home. Though a molding with an elaborate profile may be eye-catching, it’s likely to look out of place in a contemporary context. By the same token, the minimalist profile suitable for a modern space would clash with the decorative flourishes of a century-old Victorian. In other words, thoughtfully chosen moldings complement the home without drawing undue attention. As important as it is to select an appropriate style, it’s equally important to choose moldings that are properly proportioned for the dimensions of a room. Designers buck convention all the time, but general practice is to let the height of the ceiling dictate the trim size. For rooms with standard eight-foot ceilings, choose slim (9/16-inch) moldings between three and six inches in height. Thicker, taller moldings may be considered where the ceiling reaches a more generous height. Also, where baseboard and crown moldings are installed together, be sure to specify the same size for both trim types in order to promote a visual balance. From one room to the next, tradition holds that there can be varying sets of molding types installed. That is, in the living or dining room, it’s not uncommon to find a full suite of wall trim, including baseboard, chair rail, picture rail, and crown molding. 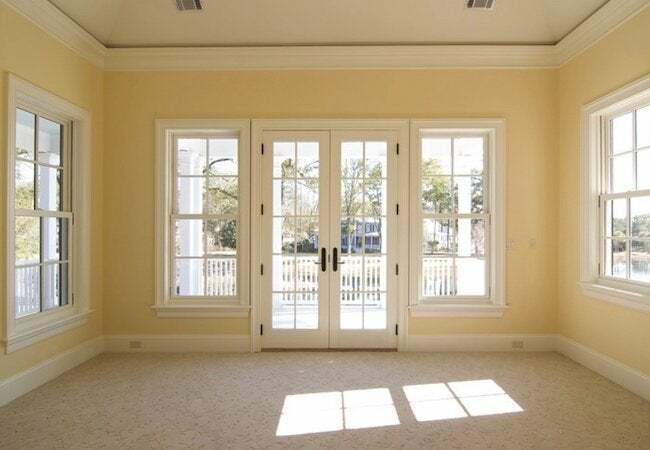 In a less formal room, meanwhile, you seldom see more than one or a couple of types of trim. But even though the number of moldings employed may differ according to the function of the room, homeowners are wise to avoid mixing styles. Size may vary, but throughout the home, keep to a uniform molding profile. Inconsistency never fails to create a discordant, unsettled look. 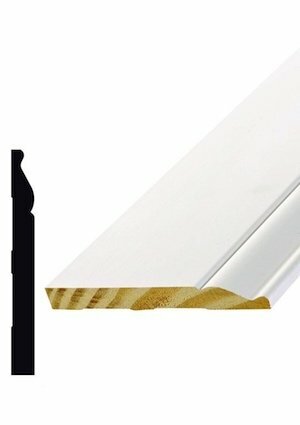 Moldings come in a number of materials. Of them all, hardwood typically commands the highest price, especially when it’s “clear”—that is, free of knots and other imperfections. In cases where the homeowner specifies a stain finish, hardwood (usually poplar) makes the natural choice. If the moldings are to be painted, then multiple materials may be considered. Offering the look of wood at an affordable price is prefinished pine. Similarly budget-friendly are MDF (medium-density fiberboard) and EPS (expanded polystyrene) moldings, prefinished or pre-primed. Ultimately, the right choice of material depends, first and foremost, on the desired finish, and secondarily on the preference of the homeowner or the budget available for the project. In more than 2,200 locations nationwide, The Home Depot offers moldings in a wide range of styles, sizes, and materials. 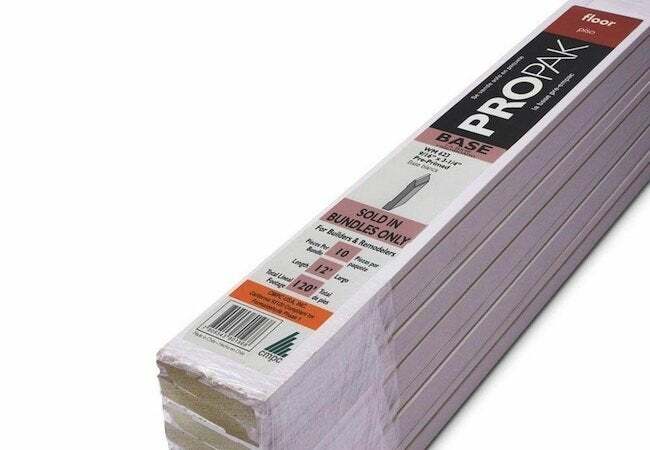 Most notable are the retailer’s Pro Paks, which are premeasured and bundled in quantities in 60, 80, 120, or 160 linear feet. Their grab-and-go convenience saves you time, and Pro Paks also save you as much as 40 percent versus buying by the piece. Call or go online, and you can even arrange for your Pro Paks to be ready for you when you arrive at your local store. As you plan your next remodeling project, make sure to think about moldings early to ensure that your completed spaces don’t look underwhelming and incomplete. You certainly don’t want to become aware of their vital role only when you notice their absence! So, the next time you’re trying to bring a project from almost-there to full completion, visit The Home Depot for handy Pro Paks that make it quick, easy, and cost-effective to add that crucial finishing touch. This post has been brought to you by The Home Depot. Its facts and opinions are those of BobVila.com.